Wow, time flies, doesn’t it? It seems like yesterday we were on our campus tours, buying spirit wear and eagerly looking forward to our college careers. The time has finally come; after sleepless nights, hours of studying, lots of coffee, and some unforgettable memories, we are graduating. Spring semester goes by fast and is jam packed with classes and to do lists. 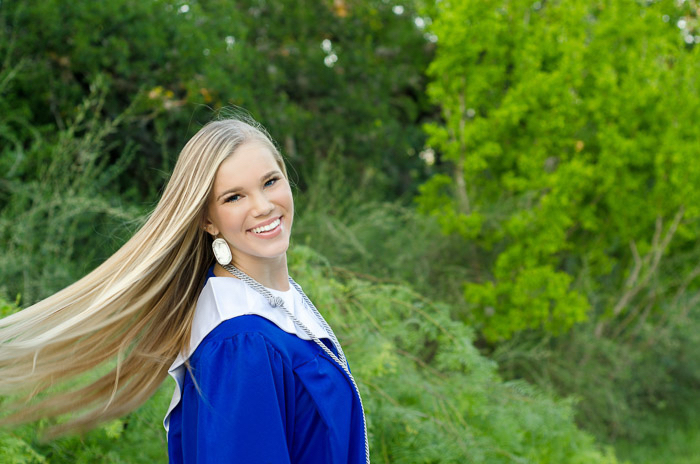 So to be prepared, I created this guide on how to keep everything organized for graduation for all the seniors out there! Classes are coming to an end and job applications are being filled out, so it is time to spice up that old resume with a new look and updated information. This is the most important time to have your resume looking pressed and polished. Personally, I added some professional color, created a logo with my initials, and some trendy fonts. It is all about catching the eye but you want to keep the content relevant and informative. This is your opportunity to squeeze in organizations or items you forgot to add over the four years such as honor societies, awards, and certifications. There is no better relief than having official documentation showing that you are actually on track for graduating. This is the time to stop by your advisor or dean’s office to make sure you have done everything. See that every class requirement for that major, minor, or emphasis is checked, so you can sort things out if needed. Some schools even have you apply for graduation, so making sure you meet all the requirements and tricky deadlines is beyond important. Graduation revolves around family, reflection, and celebration. Make sure to plan ahead of time for graduation pictures on campus in a cap and gown, professional outfit, and cozy shirt with your school’s logo on it. This is the time where you capture those photos you will cherish forever. The next step is planning the day of graduation with your family. This could include scheduling a dinner reservation or touring your college town one last time with the ones you love. Finally, the graduation celebration everyone is waiting for is the graduation party. Whether you are planning it in your college town or back home, start the planning early. Do a little throughout the semester to avoid last minute stress. If you’ll be moving right around graduation, there are some steps you can take to make your final days easy. If you can, frequently take home items you are no longer using. This will make the actual move easier and less stressful. Another idea is to clean out your items before packing, so that you can box up only what you actually care about. You can donate your excess stuff or create a money-making opportunity by selling clothes, books, and furniture on local sale pages or consignment stores. This is a special time at a place that has become home over the past four years. Visit the places that made the hard times easier and thank the people who celebrated your victories with you. Write thank you letters to special professors, bosses, advisors, or coworkers who impacted your time in this place. You won’t regret it. Graduation is a time of tears and celebration, but also relief and reflection. There is nothing like getting that degree and accomplishing that four-year goal, so go out there and make it the best last semester you possibly can! Congrats, you did it! Pearson Students: Seniors, how are you making your final semester special? Share by commenting below! Danielle Foster is majoring in hospitality management with a minor in business at the University of Mississippi, known more commonly as Ole Miss. She is from San Antonio, Texas. Danielle is involved with Ole Miss’s Orientation Leader program, Phi Mu, Safe Ride, the Associated Student Body, and other organizations. 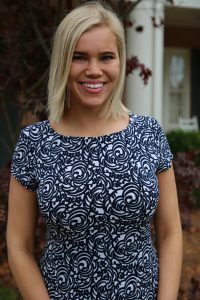 Danielle works as a student manager with football for Ole Miss Athletics, an intern for the Ole Miss Admissions office, and as a Pearson Campus Ambassador. Danielle loves being busy and heavily involved because of her passion for Ole Miss. Her favorite things include Texas, Ole Miss, running, and Drake. Danielle is a contributor to the Pearson Students Blog. If you are a college student and interested in writing for us – click here to pitch your idea and get started!